Byron Carl Hedblom: The Lighthouse Tender "Birch"
A lighthouse tender is a ship specifically designed to maintain, support, or tend to lighthouses, providing supplies, fuel, mail and transportation. They were originally built for the Lighthouse Service and later for the Coast Guard. 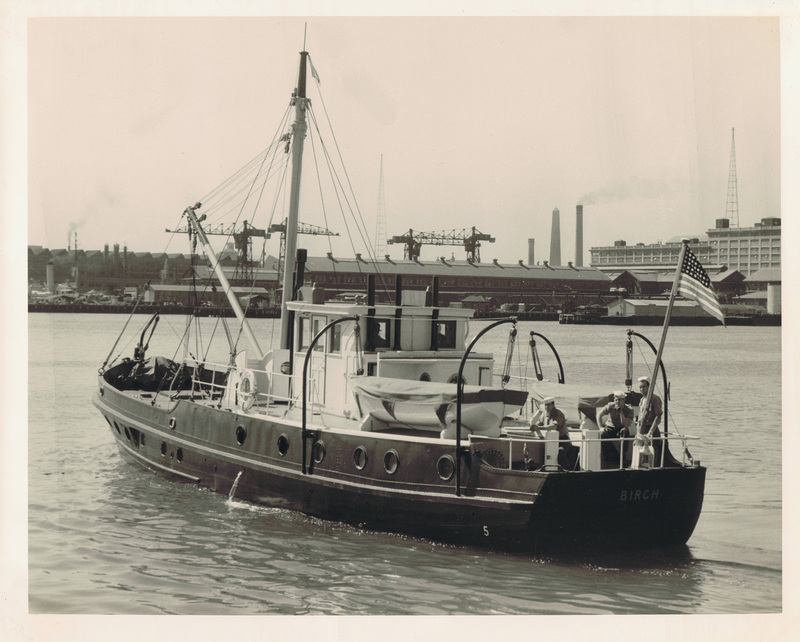 "The United States Tender Birch, the second tender with this name, was designed by the Lighthouse Service as a bay and sound tender for service along the coast of Florida and vicinity. She was assigned to St. Petersburg, Florida, her home port for for her entire career. In addition to her primary duty of tending aids to navigation, she participated in a number of SAR cases. From 14 to 18 September 1955 she assisted in the hurricane evacuation of St. Petersburg and Tampa, Florida. On 5 July 1957 she assisted the fishing vessel King Shrimper off Sarasota. She participated in a unique experiment, code-named "Operation Tugbird," in March of 1958 when, on the 24th, a Coast Guard HO4S-3 helicopter towed her through the water. Although the experiment demonstrated that one could tow a vessel of similar sizes while in flight, the fuel used by the helicopter meant that it could only tow the vessel a short distance before having to give up and return for more fuel. The Birch was decommissioned on 24 February 1963 and was sold on 31 July 1964."